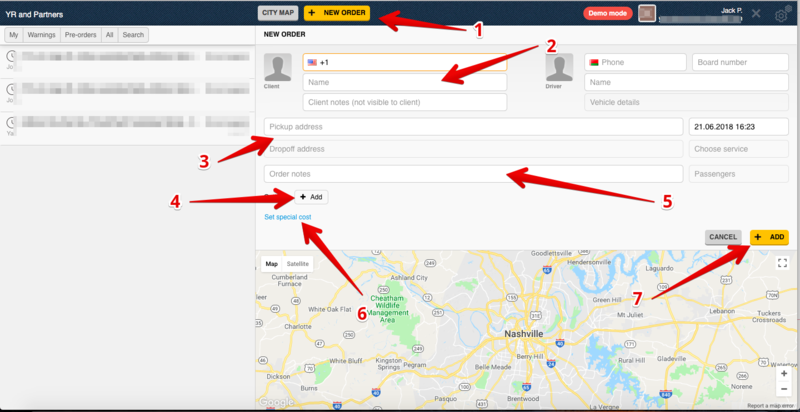 How to create a new order from dispatch panel? The interface of Dispatch Panel is a friendly one so it will be not a problem to get used to it. Press "New order" button to create the new order menu. Enter phone number*, passenger's name, any note about the customer. Any options regarding the requested vehicle by clicking on "Add". Notes to driver, pick up date and time, # of passengers. If you want this order to be operated for fixed special cost you can enter it in the field. You may write down how many km and minutes is included in this special cost. If the ride will take longer distance or time extra fees will apply. Press "Add" button so the system will start looking for a car. When the order is created the screen will look like this. 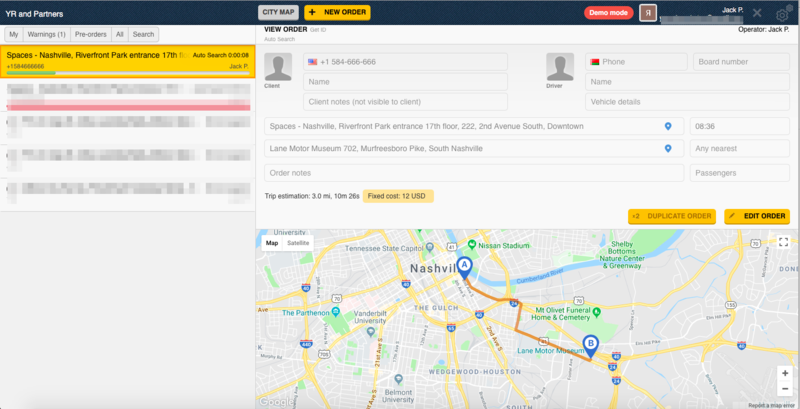 In the left column it's possible to check the status of the order along with all other orders managed by the company within last 3 hours. In the next article you will find how to assign driver manually.